Chart based on number of tracks/channels, bit-rate, microphone frequency range, XLR & TRS inputs, pre-record mode, low-cut filter, voice activation, overdubbing, marker editing, EQ controls, dead air removal, storage, SDHC compatible, SDXC compatible, rechargeable and warranty. To find the best voice recorder means you have to look for a combination of superior recording quality, compact construction and excellent price. It certainly pays to know that a cheap voice recorder can still be one of the best when it comes to the functions and features. To find a top video recorder, you will want to strike the right balance between sound quality (full sound clean capture and absence of noise) and price when it comes to getting what you need. However, what really matters is the overall clarity and quality of the sound which means that you’ll want one the best sound recorders that fits your budget. The reason you want good sound in your podcast or video is because a message is better received if there is no noticeable lack of quality in audio. If your listener or viewer even remotely thinks about your questionable audio then you've already made a mistake. You don't want that. What you want instead is a good voice recorder who doesn't let you down. So, here are the ten best voice recorders when taking into consideration all the important features. 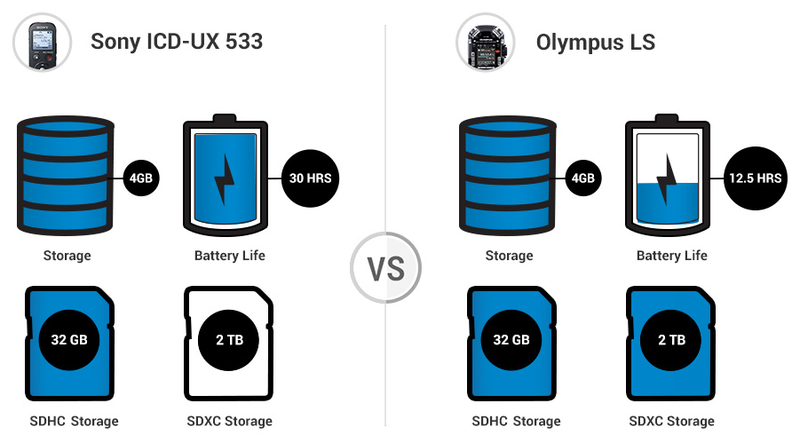 When it comes to one of the best consumer or semi-pro sound recorder devices on the market today, the ICD-UX533 is the one to get. With exceptional audio recording ability, this particular device creates true-to-life clips thanks to its remarkable microphone. Plus, the features are easy to access thanks to the buttons that are intuitively arranged and the back-lit screen means that you know precisely what is going on when using this device. 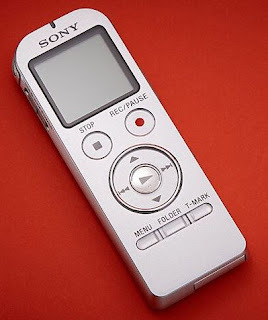 Perfect for recording lectures, interviews or meetings, this Sony voice recorder is great for students, journalists and the like when obtaining and verifying interviews. While not really designed for broadcast quality, this device is reasonably priced and very sturdy so it will function at the highest levels for a long time to come. Just like any other recorder in our list, this is great to pair with a lav mic when you record video interviews and you want to capture audio separately. I use a similar setup for vlogs and interviews: a Sony ICD PX333 recorder (cheaper than the UX533 but a best seller on Amazon) and a Speedlink mic. Want the top of the line best voice recorder when price does not matter? Then the Olympus LS 100 is what you should look into. This is perfect for those who need to conduct an interview or record notes and even help you write songs. What helps make this particular recorder so valuable is that it offers eight separate tracks for your needs. This means that you can record up to eight tracks at a time which makes this a virtual portable studio. Plus, you can utilize the pre-recorded and voice-activated elements that make it great for recording meetings or lectures. 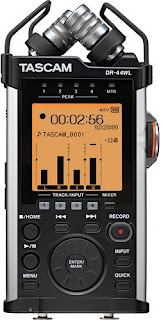 It has earned a number of awards since it was released and has been hailed by many in the industry as simply one of the best sound recorder devices that you can purchase. About the only downside is that this product is understandably heavy for a hand-held recorder and is near the top in terms of expense. 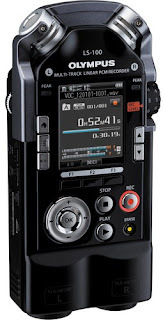 However, for many people the investment will be well worth it since this is a professional voice recorder that any musician or serious videographer should have in his or her arsenal of sound gear. Well... this or any in the Zoom family which you can see featured in our chart as well. If you are not looking to empty your bank account when paying for this type of device, then the Olympus WS 823 is cheap voice recorder that you need. The high quality linear PCM audio means that you can record interviews, lectures and dictate nets with ease. Plus, the dual microphone design offers several features that make this far superior to your smartphone. However, as a more budget-priced unit it does not have XLR/TRS inputs and can only record one track which reduces its versatility. If you do not need this type of versatility, then this may be the perfect sound recording unit for you. One of the most versatile top voice recorder units on the market today, the Zoom H6 offers interchangeable microphones which mean that you can use what you want for a particular recording setting. You can use a shotgun mike for isolating an audio source and you can record up to six tracks which makes this unit a mini-studio when recording songs. If there is any downside, it is that the controls are not very intuitive for those who are just learning how to use this type of recording device. However, that is a minor nit at best for those who want great flexibility in their voice recorder units. Featuring six recordable tracks, the Roland R 26 is not a cheap voice recorder, but it is one that offers plenty of features and a very high quality product. There is an omnidirectional microphone as two unidirectional microphones, XLR/TRS inputs and the famous Sonar LE software that allows you to edit what you have recorded. This is the perfect device for students, musicians and even Foley artists looking to record new sounds for a feature film. 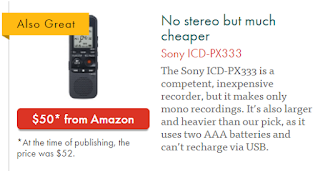 Admittedly, the Roland R 26 does not use the standard SDXC storage cards and it is priced near the top end of the scale for voice recorder units. However, it is one of the best professional devices that you’ll find on the market today. This is a portable recorder that is WiFi enabled and has been developed by one of the most respected professional audio manufactures in the country today. There are a number of different features that this unit which includes reverb effects, the ability to record in four tracts and EQ controls which are most effective. Basically, this is a portable recording studio that allows you to record and then transfer the files thanks to the WiFi connection. In addition, you can also operate it through a free mobile app which means that it can sit away from your position while you are still able to use the controls. If there is a downside, it is that there is no voice activation mode which makes this a little more difficult to use. However, this is really a minor issue to what is a very solid device. Given the price tag for this particular device, it is not merely for the recording of interview and lectures. This is a more specialized recording unit designed for high quality video, music and film productions. In fact, it excels at recording live productions thanks to its great 16 or 24 bit recording rate in the linear format. You can playback the product in WAV or MP3 and even convert your WAV files to MP3 to compress the audio for smaller, more manageable files. You can record up to four tracks which makes this rather a mini-recording studio when used correctly. However, you only have 2GB of storage which is quite small considering other similarly priced units. Overall, this particular device is one that offers plenty of great features all for a price that is well suited for a portable studio. This particular unit can record typical lectures and interviews with ease. However, it was designed with musicians in mind thanks to the crossed XY microphone that record exceptional audio so that you can clearly hear the different melodies and harmonies accurately. You will even receive WaveLap LE audio editing software so that you can put together what you record. You can record in 16 or 24 big linear PCM format which means that picking up live performances is now better than ever for such a small recording device. However, it should be noted that making adjustments is difficult especially with only two tracks available for recording. Still, for the songwriter who wants a powerful, portable tool for recording audio, then the PR7 from Yamaha is the answer. This is the one I have and I must tell you this: the built in mic is great. If you plug a lav mic into it you won't get as decent sound that you get with the built in mic. However I like it because it's affordable and it does the job for me as a small time vlogger and youtuber. If you cannot find the ICD-UX533 model, then this one is very close when it comes to overall quality of sound recording. It may not have quite the number of features as the more advance version, but it does offer a considerable amount of audio quality which makes it a close match. It must be noted that this device does require two batteries and does not have a backlit display. It has a lateral classic mini USB cable port. However, it is also considerably less expensive and perfect for playback situations when you simply need to review an interview or lecture. There are a number of interesting features that makes this particular device one of the top voice recorder units that you can purchase today, particularly for the low price. This Philips product was created for recording lectures and interviews, but its automatic features include analyzing and then adjusting the incoming audio signal which helps create the best recording possible. The three-mic Auto Zoom Plus feature lets it pull in sounds to the directional center and filter out the sounds from the sides for better live recording. In addition, there is a built-in motion sensor that selects the recording sensitivity so that there is no accidental blocking the desired audio. You can also time stamp with the date and time added so that you know when each file was recorded and a pre-recording function that records the last five seconds before the recording key has been pressed. There are no obvious downsides to this particular device, although as a cheap voice recorder it does not have all the features of the more expensive models on this list. Still, for lectures, interviews and live recordings, this is an excellent device. So there you have it! If you are looking for some of the best voice recorder units on the market today, the ten listed here are all well suited for a wide variety of needs. In addition, they offer a broad price range so that you can select the best voice recorder that fits your particular budget. Apart from the Sony and the Phillips which are high end consumer gadgets, all the other ones are professional sound recorders so you basically can't go wrong with any of them. Get amazing sound quality for your videos or podcasts with these quality voice recorders.